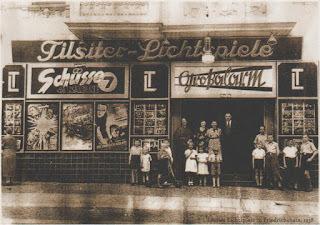 The postcard shows a photo from 1938 and is used as an adcard for the Tilsiter Lichtspiele today. 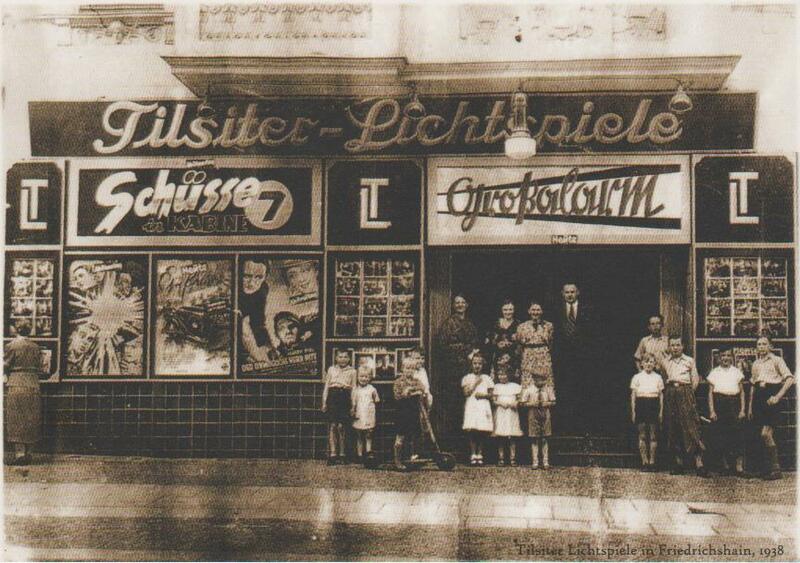 This cinema opened in 1908 and named after the street, where it was located - Tilsiter Strasse. In 1908 Tilsit was a West Prussian town and belonged to Germany. Tilsit was annexed by the Soviet Union in 1945. The town was then named Sovetsk in honor of Soviet rule. The street Tilsiter Strasse changed its name to Richard-Sorge-Strasse after the undercover German journalist and Soviet military intelligence officer Richard Sorge (1895-1944) in 1969. But the cinema closed in 1961 and the machines went by Soviet officers to Sovetsk (!). The cinema was reopened in 1994 and has today two rooms with 66 and 25 places, a miniplex. Look at Kinokompendium for pictures. Der unmögliche Herr Pitt (Germany 1938, directed by Harry Piel).